VANCOUVER – As Canadian Paralympians prepare to march in the opening ceremonies at the Sochi Games, 24% of the team (13 of 54 athletes) will be representing the Province of BC. Canadian Sport Institute Pacific will be continuing to support the team through our #WE CAN campaign, which backs Own the Podium’s goal of placing in the top three in the gold medal count at the 2014 Paralympic Winter Games. Of the 13 athletes, 12 are registered with Canadian Sport Institute Pacific and consider BC their home province. All of these athletes have benefitted from the support of the Province’s sport sector, including Vernon B.C.’s Sonja Gaudet, who will proudly carry the flag for Canada in the opening ceremony tomorrow. The B.C. contingent of the national Paralympic team also includes five coaches and six technical staff, with the Mission Team boasting five professionals from B.C. 54 athletes make up the Canadian Paralympic Team. 24 per cent of the athletes representing Canada in Sochi are either born and/or train in B.C. 6 additional athletes from outside BC take advantage of the 2010 legacy facilities that make Whistler an excellent place for training camp. 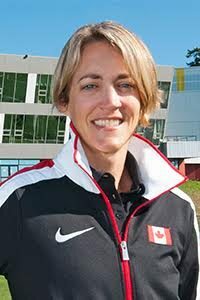 23 coaches and technical staff lead the Canadian Paralympic Team in Sochi. 26 per cent of Canadian Paralympic coaches and technical staff are from B.C.